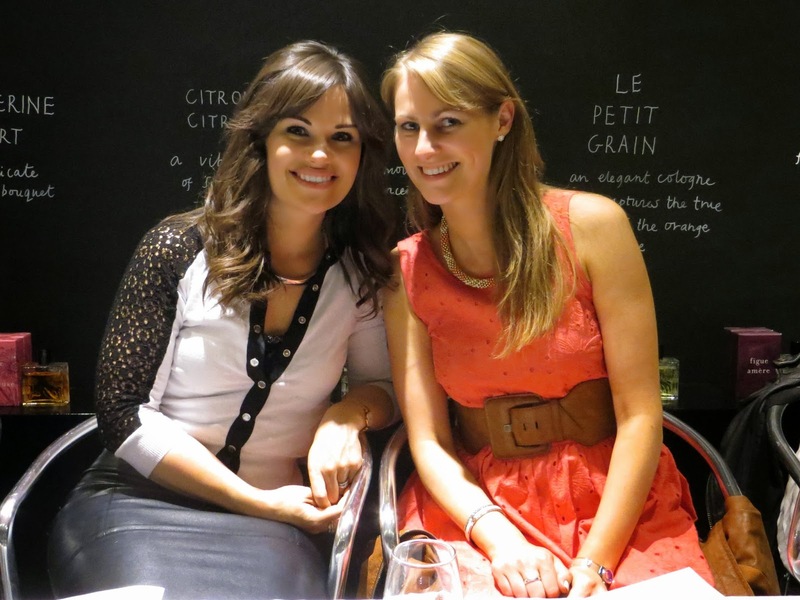 Last Wednesday my old school friend Liesl Lamare (who's an amazing wedding and event planner at Zouch & Lamare - go check out their website) and I went to a fantastic evening of fragrance and wine tasting hosted by Miller Harris and The Burgundy Portfolio. 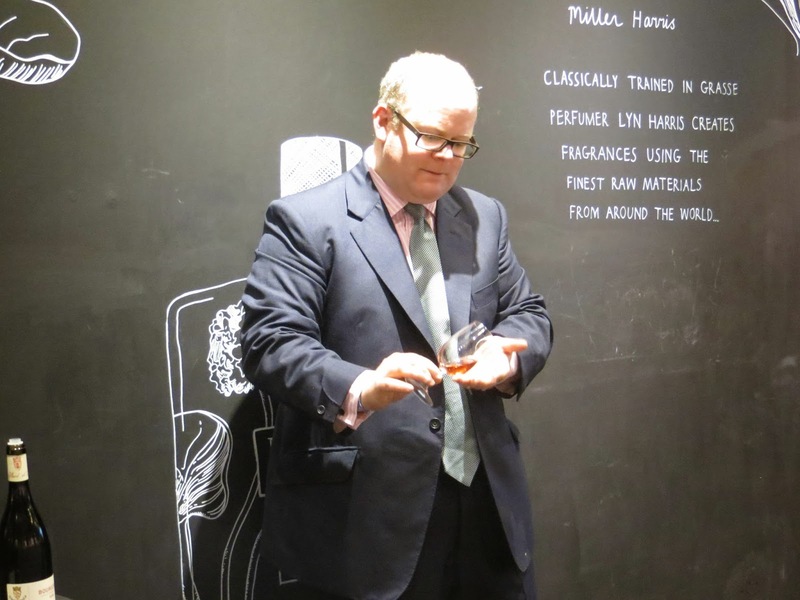 Arriving at the Miller Harris Bruton Street store in Mayfair, we embarked on a whole world of smell and taste combinations we had no idea could pair so well. Andrew Corben-Clarke, who runs The Burgundy Portfolio, talked us through five exquisite French wines - two white, a rose and two red - describing not only the aromas of the wines themselves but also telling us about the vineyards they are produced in and the people who produce them. Hearing about the Oroncio Syrah "Star Terre" where the producer Oronce de Beler uses his horse to plough the vineyards rather than a tractor; he used to plough other wine growers' fields and as payment would pick the grapes he wanted from their vineyards. 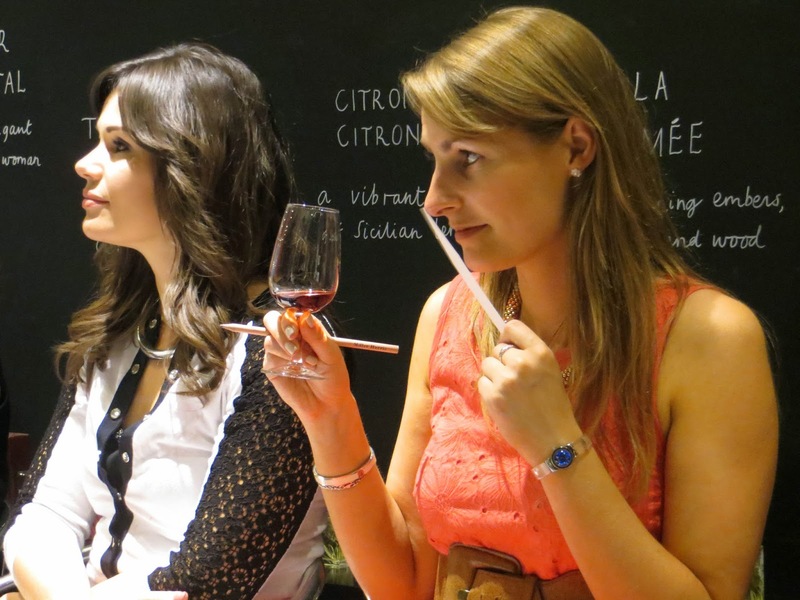 It's hearing these stories that makes a wine that bit more special. 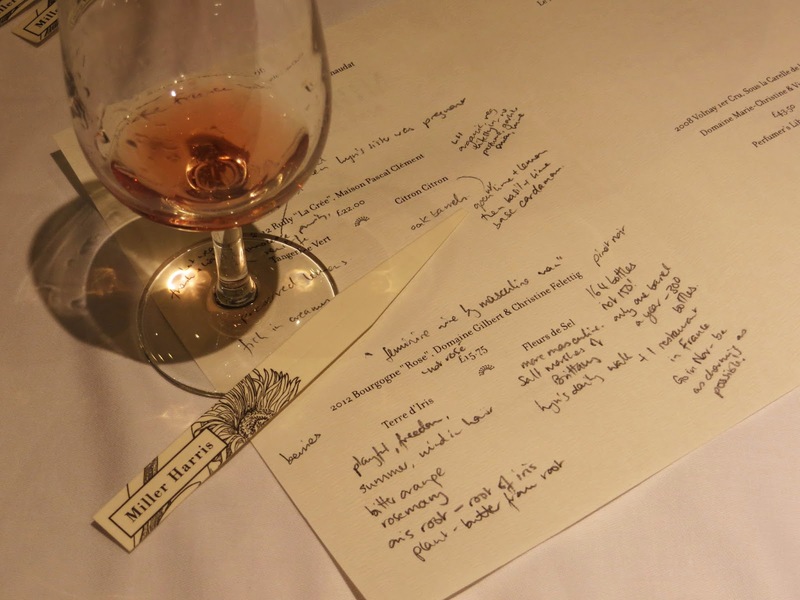 After we learnt about each wine and had a chance to taste them, Zoe Buss, the Area Manager for Miller Harris, talked us through the Miller Harris fragrances which had been selected for Andrew to find wines to pair with. 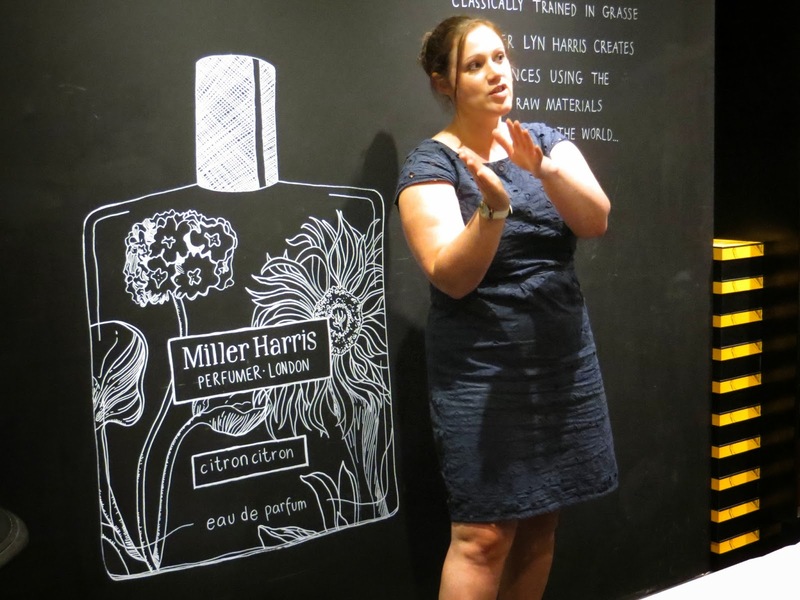 She told us the stories behind each fragrance and how Lyn Harris, Miller Harris' founder, had come to create them. It was wonderful to hear about how Fleurs de Sel was inspired by Lyn's daily walks through the salt marshes of Brittany and about how Le Pamplemousse was inspired by shared memories of Marrakech with her French husband, Christophe. I was amazed on smelling and tasting the combination just how perfectly Andrew had chosen the wines to reflect and complement the different notes of the fragrances. Not only did we have a truly wonderful evening, but we were also given a bag of Miller Harris goodies to take home - which adds perfectly to my ever-growing collection of Miller Harris (see my posts on the Fleur Collection and the Symphony of Colours). Mine contained a mini Fleur Oriental candle, a mini Le Pamplemousse fragrance (which is available in the Fruit Collection or as a full size bottle) and a Rose en Noir body lotion. 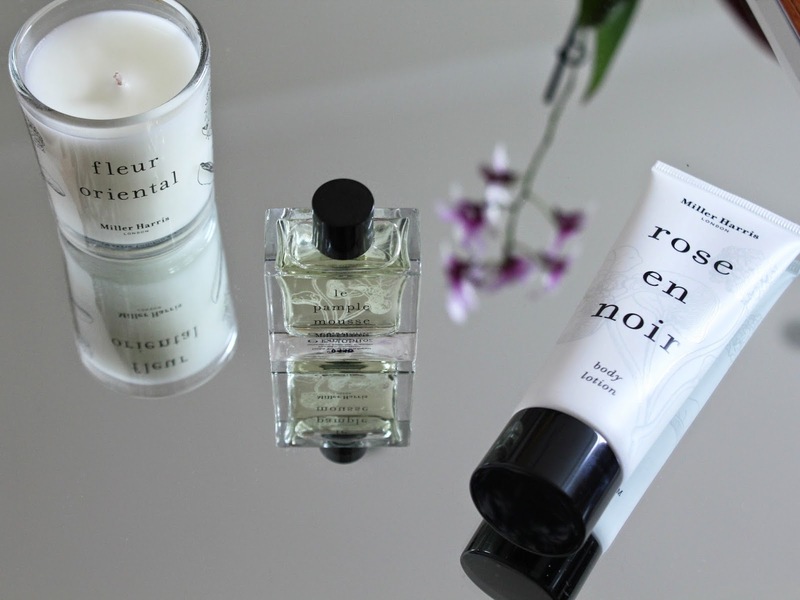 I was delighted with these as I adore the Rose en Noir fragrance I already have; love the smell of Le Pamplemousse (which I actually don't like so much when I first put it on, but when it blends with my skin I love it); and am always buying scented candles! 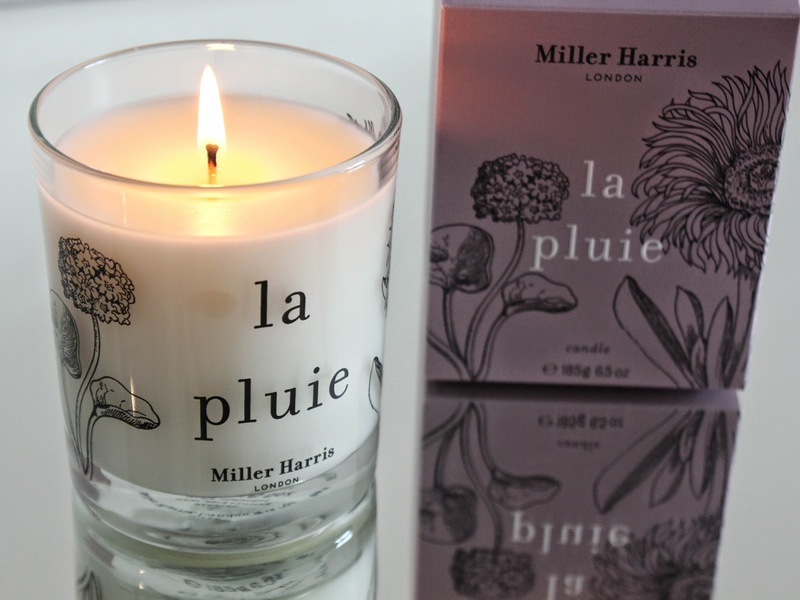 I couldn't resist buying myself a little present too (it is my birthday soon, after all) - a La Pluie candle - which is described on the box as 'a story of tropical showers and the balmy climate of a faraway island'. It's sitting in my living room and every time I walk past, even if it's not burning, I get a whiff of the rather heady mix of bergamot, tangerine, lavender, ylang ylang, jasmine, cassie, orange, vetiver bourbon and vanilla bourbon. Honestly it has to be smelled to be believed, it's pure bliss. If you've never heard of Miller Harris or smelled any of their fragrances, what are you waiting for? Go now! I can't speak highly enough of them - I was used to smelling lots of different high street perfumes and just never finding the right one because they all smelled too sweet or too synthetic... and then I found Miller Harris and have had a whole world of fragrance opened up to me where the perfumes have so much depth and they last for hours. It's just too hard to pick a favourite - I have different favourites for different occasions. 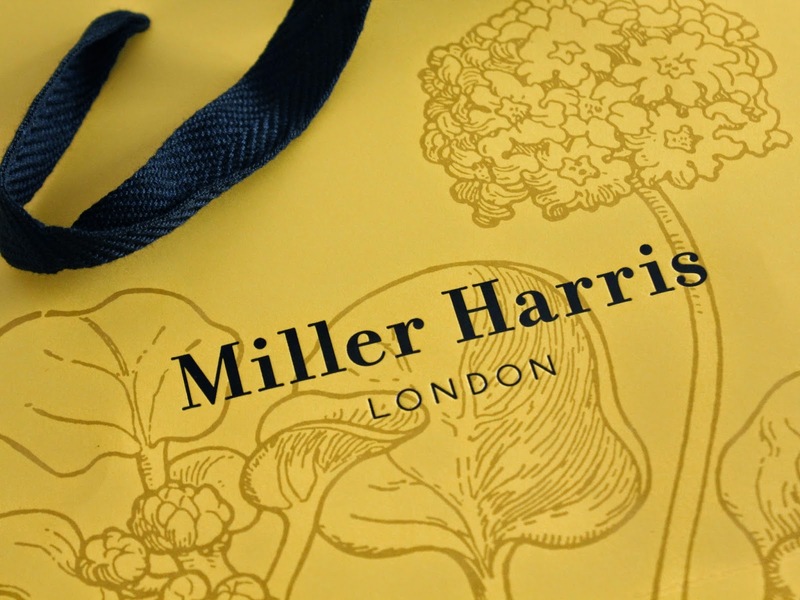 Miller Harris have three stores in London (Bruton Street, Covent Garden Market and Monmouth Street) and are stocked in other stores around the UK (click here for store locations). They are also available online at www.millerharris.com.